In the dog days of summer, nothing is better than a day at the beach to cool off and celebrate what little summer we actually get here in Canada. 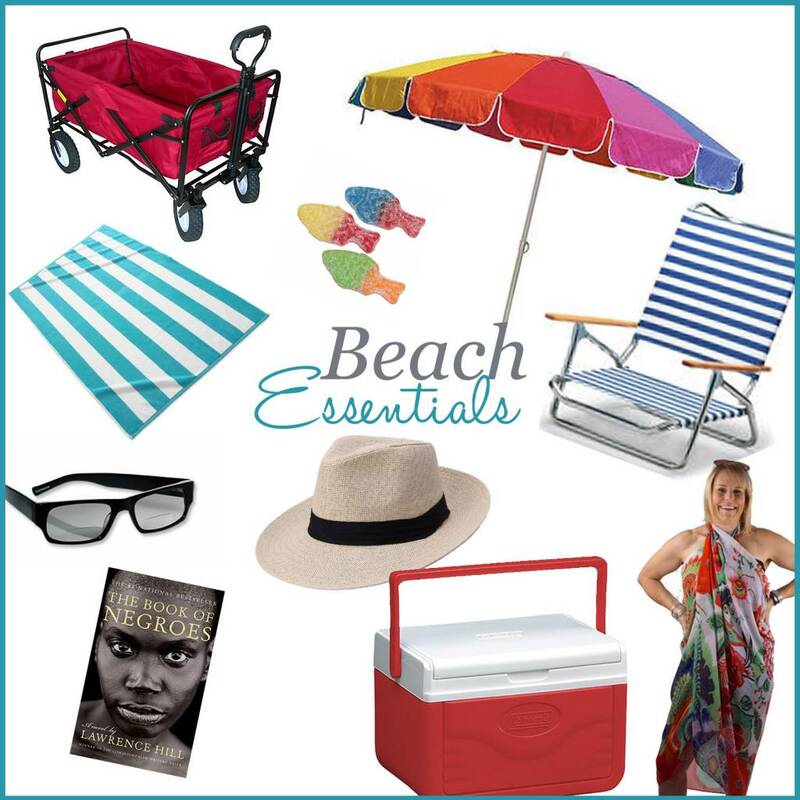 We spend much of our spare time at local beaches with family and friends and wanted to share with you some of our favourite beach essentials. Folding Wagon- This is great for both carrying tired kids and for loading up all your gear to trek across the sand. Hands free hauling is a win in our books! Beach Umbrella- We bought ours at Costco and it has a corkscrew base that gets screwed right into the sand to help anchor it. There is nothing worse than your shade blowing away and we love this one on a breezy sunny day. Beach Towel- This goes without saying as a towel is always handy to both dry off and to lounge on. The more colourful the better as this is one accessory that you don't need to be conservative with! Beach Chair- We love these low beach chairs that recline into a lay down position for maximum comfort. This gives you the flexibility to sit up when you want and stretch out for a snooze once you soaked up some rays. Cover Up- We love using our large scarves to double as a beach cover up. They fold up so compactly and can also be used as a head cover to keep the sun out of your eyes and off your head. With so many patterns, you can have a different cover up for every visit! Hat and Sunglasses- These are a no brainer and also a definite necessity! Your hat can be stylish as well as functional and if you pick sunglasses with readers built in, you never have to worry about switching back and forth between your glasses! Reading Material- There's nothing like reading a good book on a lazy afternoon. Lousje just finished The Book of Negroes and highly recommends it for anyone looking for a great summer read. Cooler with Snacks- There's something about hanging out at the beach that makes everyone want to snack on a few treats. We like to balance fruit with crackers like goldfish and a few sour gummies to fill our tummies. Lousje loves to take her grandkids to the beach and could watch them play for hours. One of her favourite essentials on kid days is to bring a kite to play with. Challenging and entertaining, a kite will provide a whole day's worth of fun!